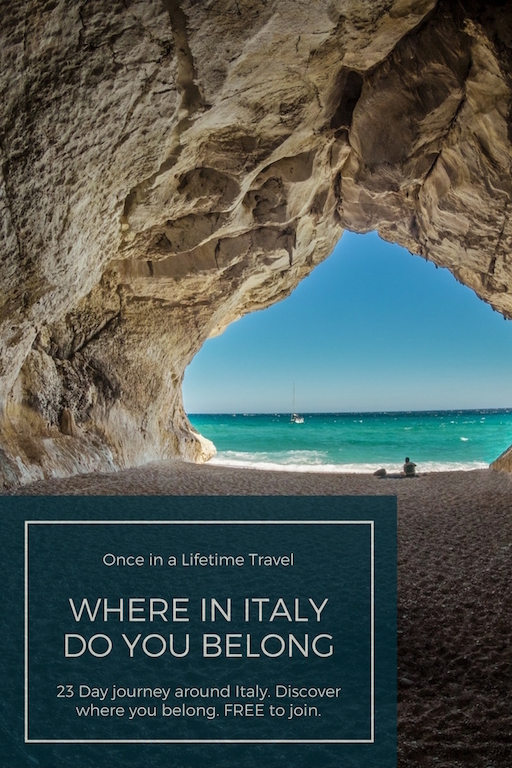 If you were traveling to Italy, do you know exactly where to go? 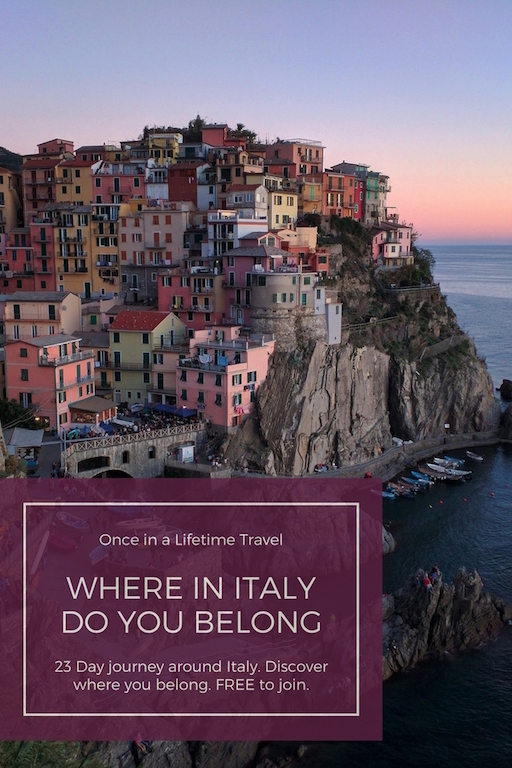 What if I told you that deciding where to travel in Italy is completely different for every person. 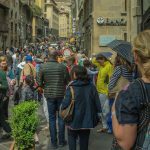 My first trip to Italy was a whirlwind and included all of the biggies on most travelers to do list. I loved every minute, but I realized that there were things that I would have done differently. 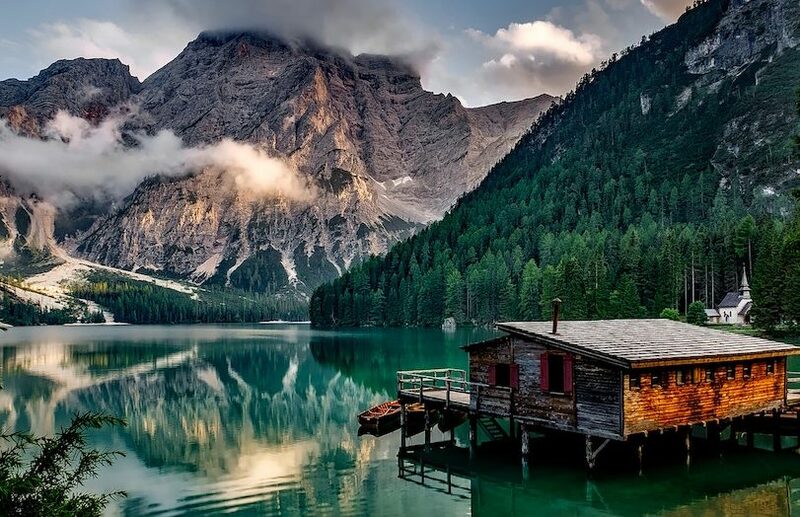 I’m country girl at heart, and while I loved the big cities, I was yearning for more quiet time in the countryside and mountains. I went home wondering what I missed. 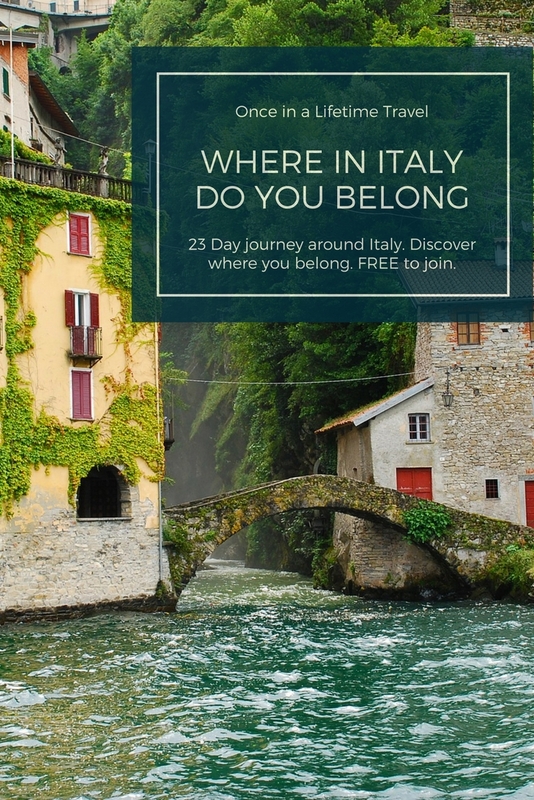 My next trip to Italy, I expanded my stops to include more rural and less visited areas while spending less time big cities. 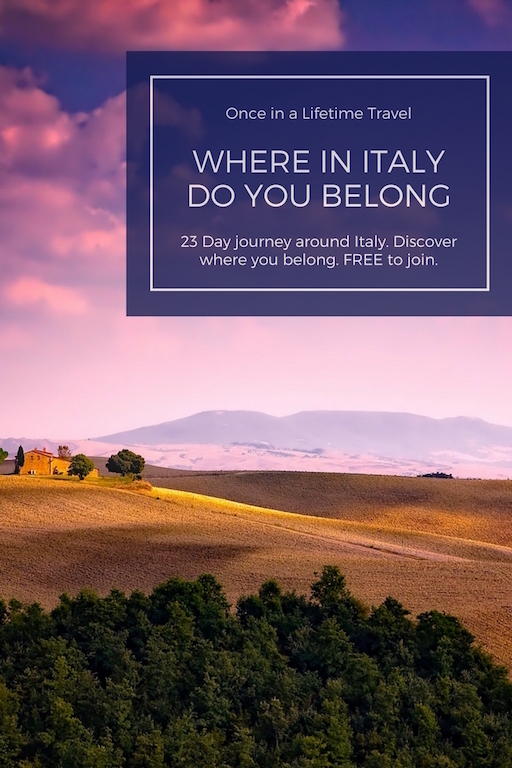 I stayed in the heart of Le Marche and didn’t interact with another American for weeks. My dinners were spent side by side with locals, sleeves rolled up while we shared wine and our passion for food. l LOVED that trip. That was me. That was MY Italy. 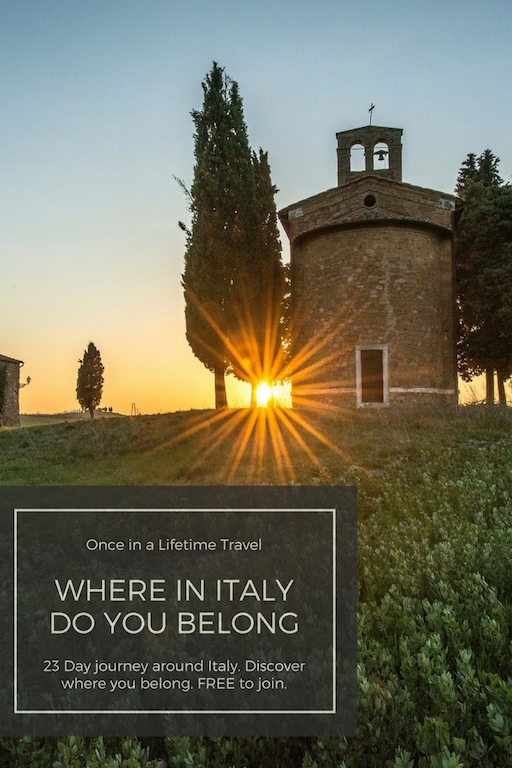 I had begun to find my sweet spot, the Italy I belonged in. 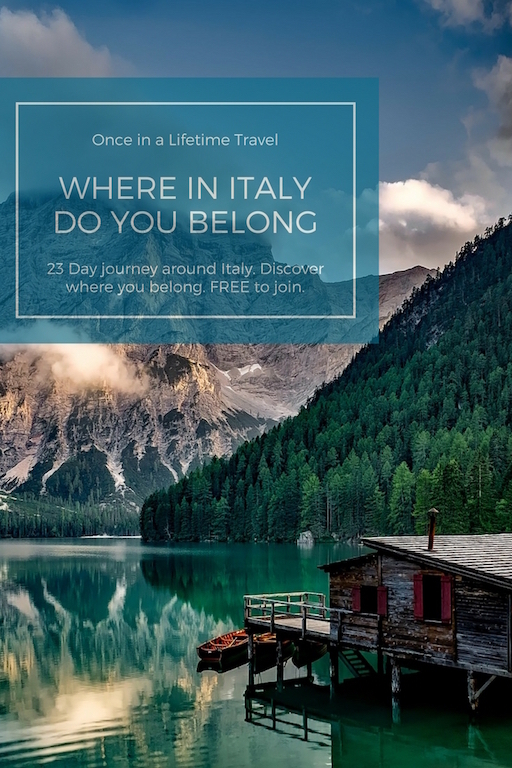 Do you want to have your dream Italian vacation? Are you on information overload? 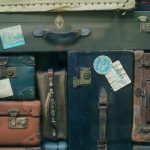 Is everyone telling you where you must go? 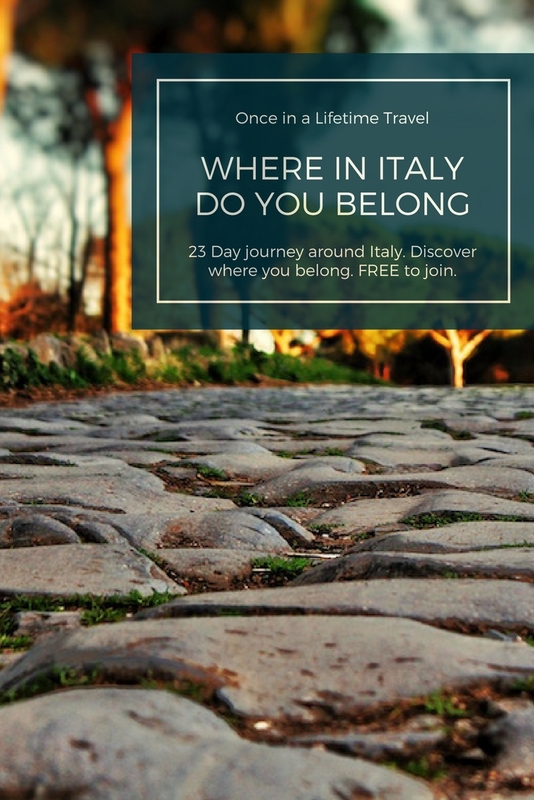 Join me on a 23 day journey around Italy, top to bottom via your inbox. 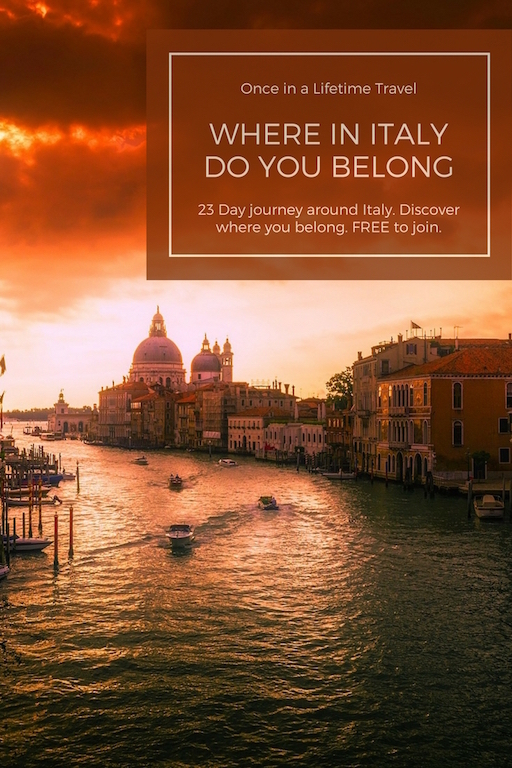 Let me introduce Italy to you, region by region, and help you discover where you belong so that you can have your once in a lifetime Italian trip. Completely free to join, daily emails delivered directly to you. No strings attached. 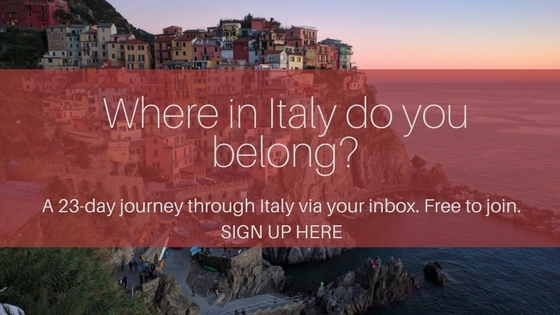 Just sign up here and we’ll start the journey together.